Mercedes-Benz luxury vehicles are artfully crafted and sophisticated machines, and when you need Oil Filter Replacement,* or even a more complicated repair, it’s always best to use Mercedes-Benz certified parts. They are specially built to fit perfectly into a Mercedes-Benz machine, and they’re designed to maximize your car’s inherent potential. Parts from other manufacturers can’t make the same claims, and your luxury car deserves nothing less than the best. During the lifespan of your Mercedes-Benz vehicle, you’ll eventually need larger parts, such as tires and wheels, which are obviously integral to your vehicle’s performance. More than likely, however, the parts you’re going to need most often are small and seemingly inconsequential. For example, you’ll likely need an Oil Filter Replacement after every other oil change* – depending on your vehicle. It’s important that even these small replacement services involve the use of OEM (original equipment manufacturer) parts. They’re guaranteed to work with your car, and are built for optimal performance. While some independent shops may offer deals that sound too good to be true, they sometimes can be. While we use only Mercedes-Benz parts, independent shops can’t make the same guarantee, and often use aftermarket parts – which are far from optimized for your Mercedes-Benz vehicle. That means that, in the long run, that impressive deal may not turn out to be so good after all. While using Mercedes-Benz parts for your Mercedes-Benz car is important, it’s also important to have your car serviced by Mercedes-Benz Certified Technicians. In fact, our service department is staffed by Master Certified Technicians with the experience, knowledge, and resources to properly service your luxury vehicle. They’ll work to make sure that you receive the highest quality service, and that your every visit is as fast, enjoyable, and reliable as possible. 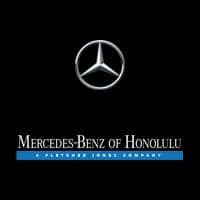 If you’re a driver in the Ala Moana and Waikiki areas, you can learn more about our Master Certified Technicians and using Mercedes-Benz replacement parts by contacting us online, or by calling us at (808) 592-5656. You’re also welcome to pay us a visit at 818 Kapiolani Boulevard in Honolulu, HI to see us in person today!